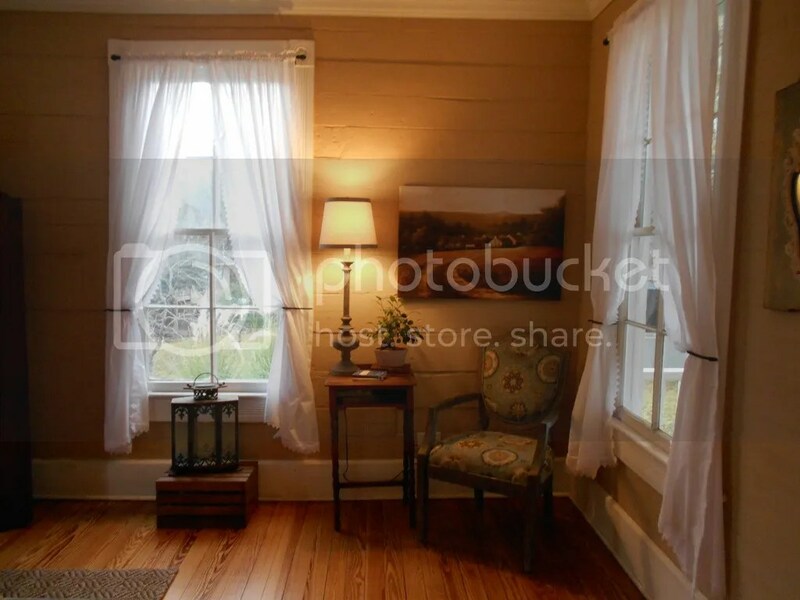 The following photo is the sitting area of the master of The Cottage at Chappell Hill. 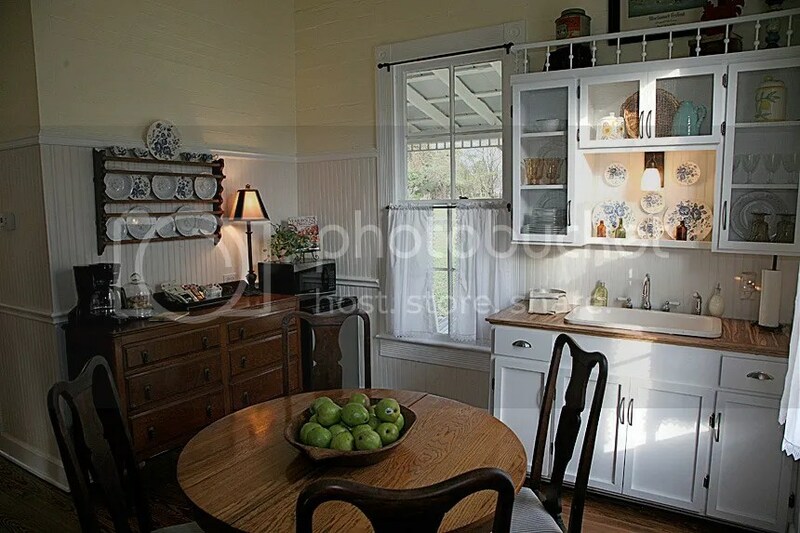 Here is a peek in the kitchen area where a buffet and plate rack serve as the coffee and breakfast center. There was an old fireplace mantel that I had used many times for store displays. 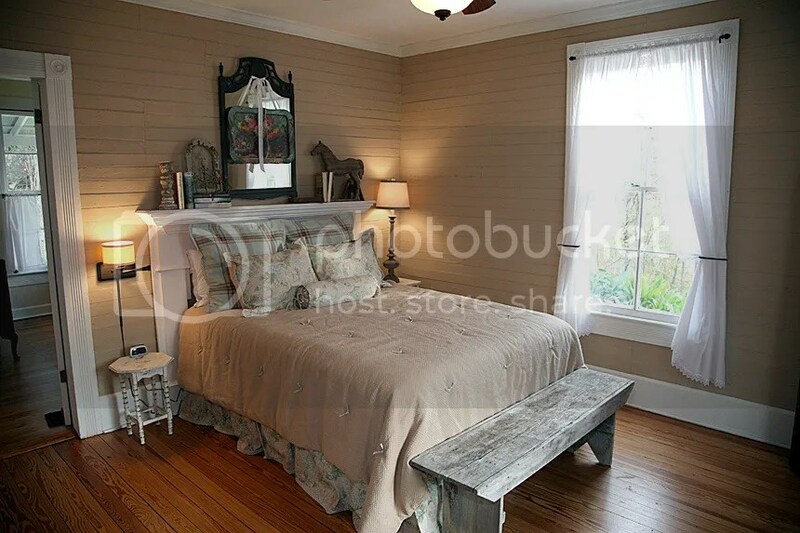 It received a coat of chalk paint and serves as the headboard. 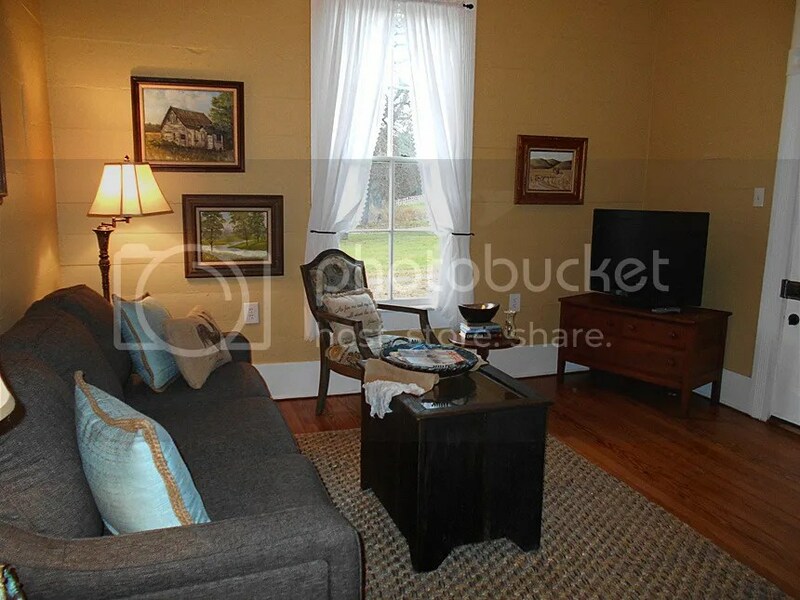 A view of the modern living area or front parlor as they would say in the “olden days”. Some of the oil paintings are from local artists depicting everyday life from that era. 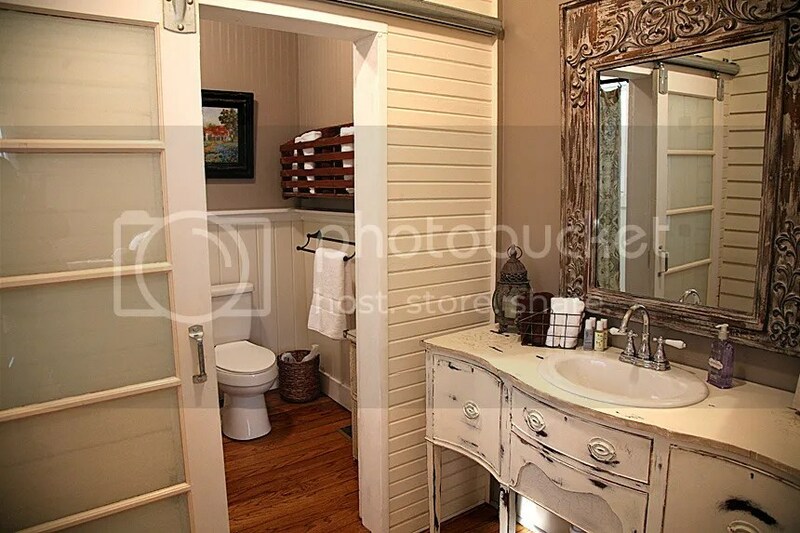 A view of the bath with the buffet turned sink vanity. An old crate mounted to the wall serves double duty as a towel holder. 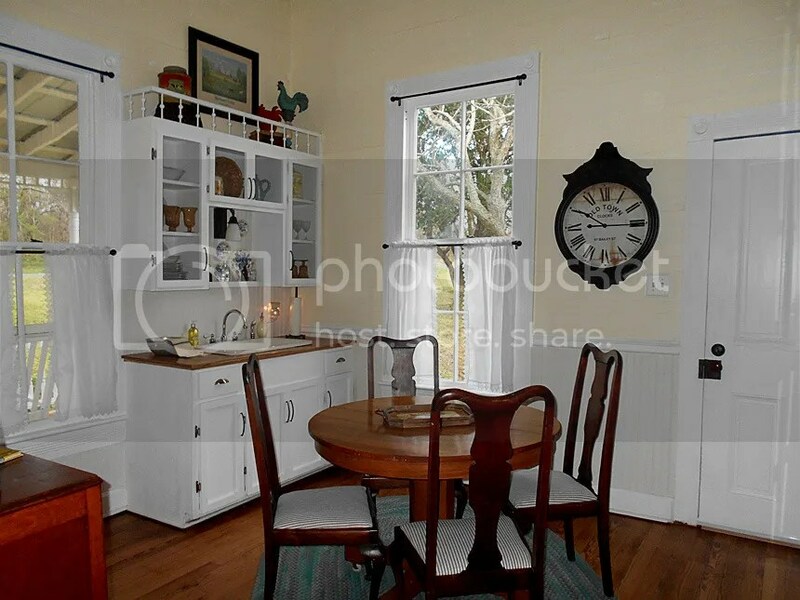 A bit of a bounce around, but I wanted to share the view of the kitchen with the clock because the owner’s hubby picked it out and thought it wouldn’t be used. Here it is in a place of prominence…I loved it. 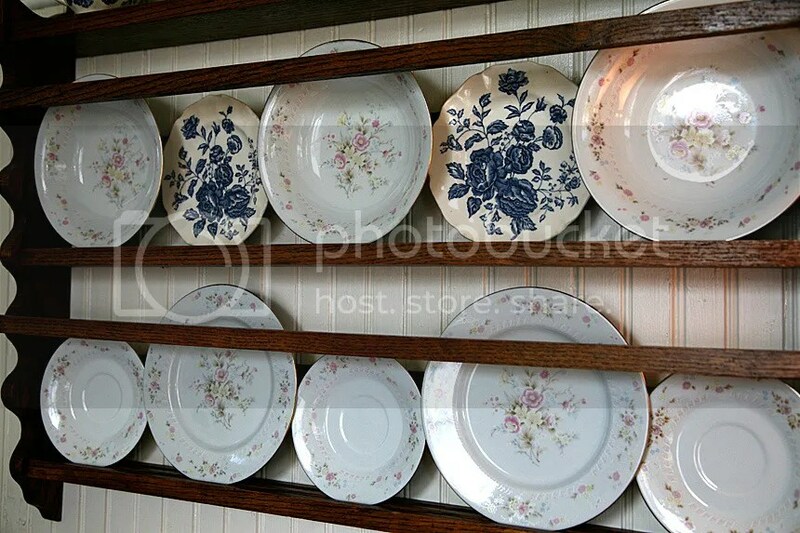 The plate rack in this photo belonged to another client who was ready to let it go. 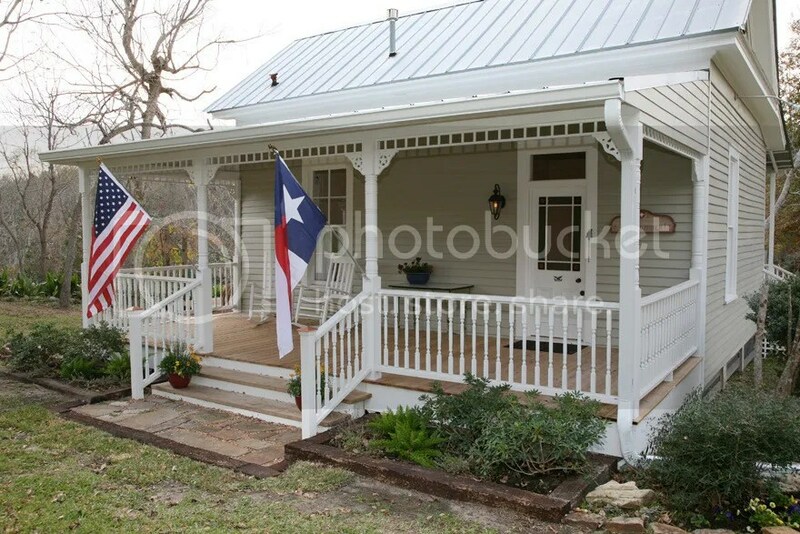 Instead of placing it in my antique shop, I suggested it for this client. It serves multi purposes keeping the coffee bar free of plates, for storage and it is just so pretty. 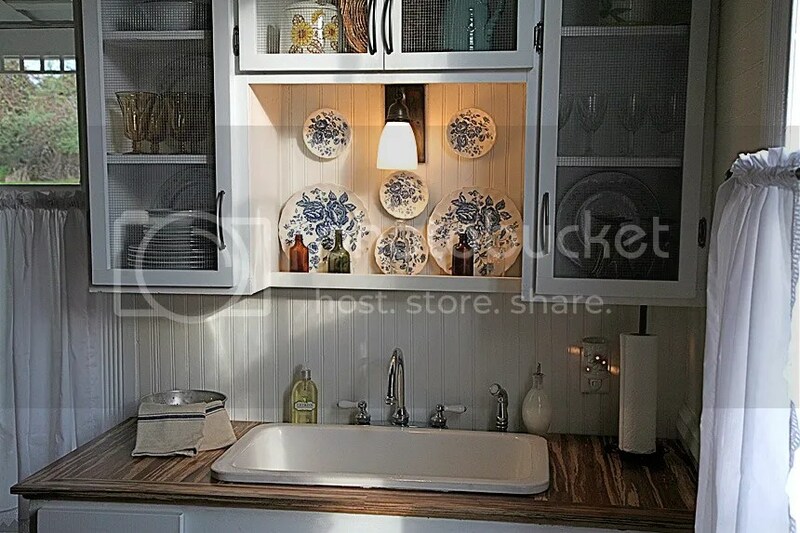 The dishes are a hodge podge of good deals found by the client.